↑USS Jason (AC-12). 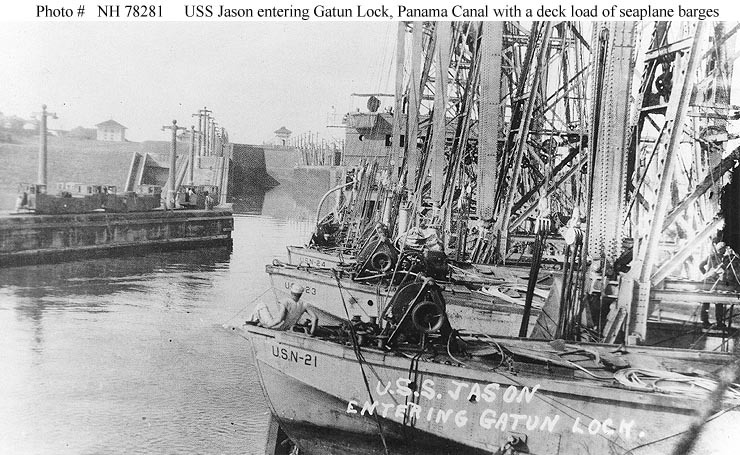 Entering Gatun Lock, Panama Canal, with a deck load of seaplane barges, during the early 1920s. The barges are (from the front) YV-21, YV-23 and YV-24. Courtesy of Donald M. McPherson, 1973. U.S. Naval Historical Center Photograph.